As a pet writer, it goes without saying that I have a soft spot for animals. So when a friend emailed me a photo of a little kitty wearing a tutu and using a wheelchair, I was intrigued. 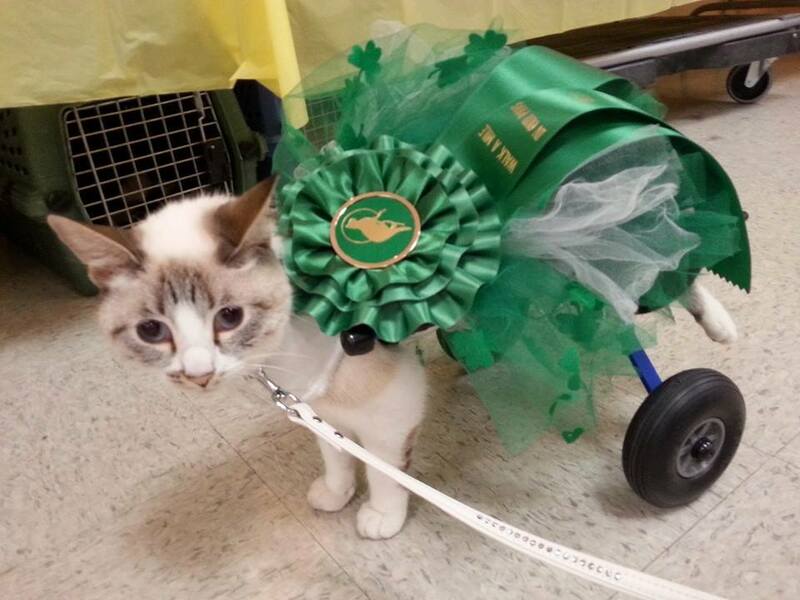 It turns out the cat, Tiana, was one the participants at a recent special-needs cat show hosted by Milo's Sanctuary, a nonprofit rescue group based in Burbank, Calif. A network of volunteers fosters special-needs felines, which includes cats who are blind, missing limbs or elderly. "I always have loved the underdog -- or 'undercat,' in this case," said Michele Hoffman, president and co-founder of Milo's Sanctuary. Hoffman, who handles contracts in motion picture development, even trained as a veterinary technician in 2001 to better understand how to care for rescued animals. 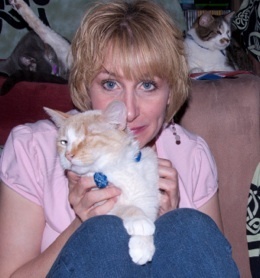 She was an active volunteer for several animal shelters when she realized the need for Milo's Sanctuary. 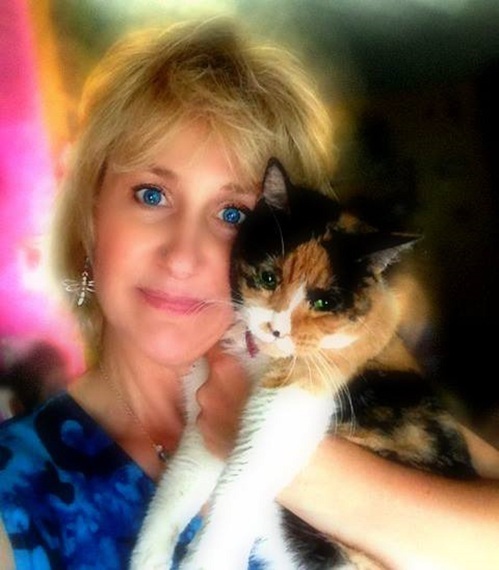 She told me she often saw senior or infirm cats surrendered to shelters when the owners couldn't afford their medical bills -- and that many shelters have to euthanize those cats to make space for mothers and their kittens. 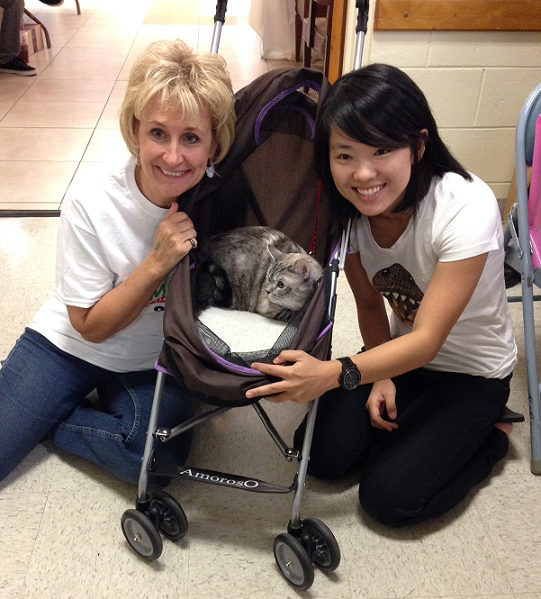 "I saw the special-needs cats slipping through the cracks," she said. Milo's Sanctuary earned nonprofit status in 2004, and since then, Hoffman and her volunteers have rescued over 500 animals -- quite a feat for a small organization that specializes in cats that are challenging to rehome. So Milo's places the cats in long-term foster homes and pays for their veterinary bills. "Milo's says, 'You take the cat, you love the cat, we pay for all the medical," Hoffman said. She said because they sponsor a lot of terminal cats who need hospice care, the focus is on "quality of life - not quantity." "I'll take in seniors and only have them for six to eight months. But that six or eight months is going to be the best six or eight months they've ever had in their life." Many of the cats have a rough start in life, such as neglect and abuse. Milo's Sanctuary once cared for a blind, declawed cat who had been thrown out of his house because he missed the litter box. The kitty hid under a bush before being rescued by a fireman who heard his plaintive cries. "I see the worst of humanity but you know what? I also see the best of humanity." She also sees remarkable transformations in the rescued cats. Daisy, a white cat with one eye, was rescued from a hoarder living with 200 cats and 100 dogs in a 1,500-square-foot home. Daisy was emaciated - weighing just three pounds -- with patchy fur and bite wounds all over her body. She had so many parasites that her intestines are scarred and she needs a special diet. But Hoffman and her husband adopted Daisy (after Hoffman raced into a shelter's euthanasia room and shouted "Stop!" as the cat was about to be lethally injected). Now Daisy has overcome her fear-based aggression to others and is the "spokescat" for Milo's Sanctuary, answering questions from her Facebook fans, attending special events, and playing with Hoffman's other cats. She's gained so much confidence that she thinks she's the queen of the castle. "She's the perfect example of 'Give them a chance,'" Hoffman said. "Just when I think I've seen it all, these animals never cease to absolutely amaze me with what they have overcome every day I see miracles here -- every single day." 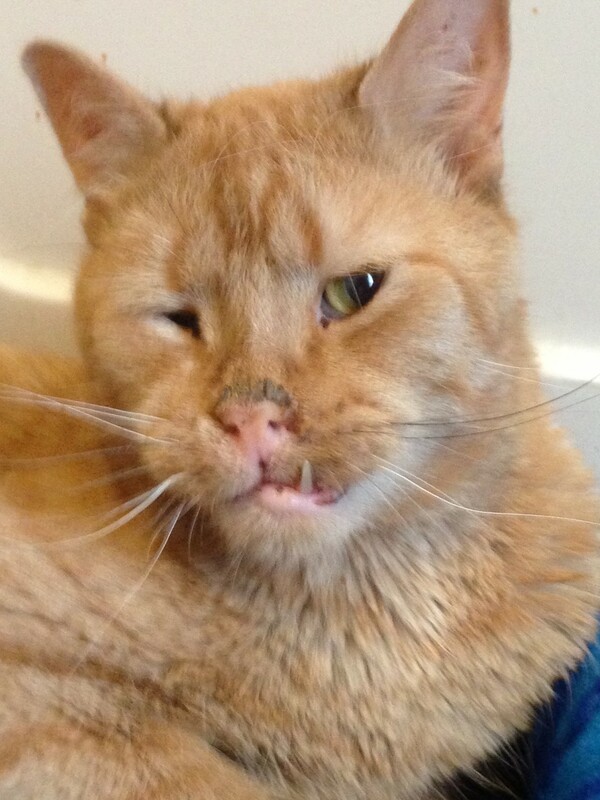 Herman is another Milo's Sanctuary success story. The partially blind tabby has many special needs because of a brain disorder that causes him to have difficulty walking -- he also needs help eating or going to the bathroom. He was kept in a kennel for six months at a shelter before Milo's found him a foster family that has no intention of ever letting him go. He watches sports with his dad in their man cave, spreads eagle for his mom when she brushes him, and is learning to play with their other cats. "Herman is hilarious. He's gone from this very shy, kind of reclusive cat, and blossomed into Mr. Bossy Pants," Hoffman said. Then there's Finnegan, who was just six weeks old when Hoffman rescued and adopted him two years ago. He was covered with ringworm and blind because of head trauma. But with medical attention, his ringworm was eradicated and his eyesight returned! 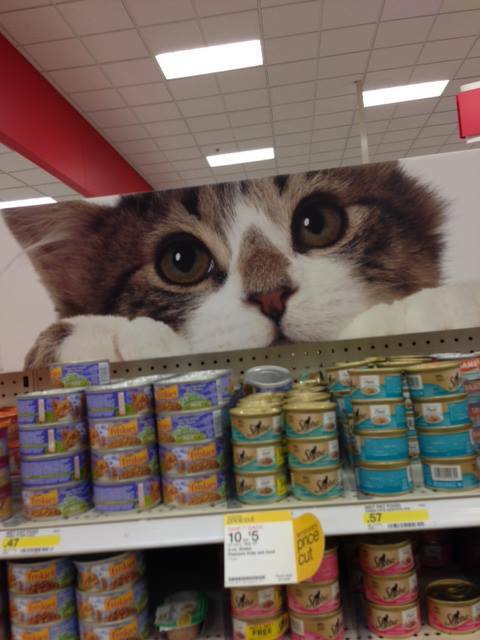 Now you can see him in photos in the pet food aisles at Target or winning at cat shows. "He's one of the loves of my life," Hoffman said. Finnegan was the inspiration for Milo's Sanctuary's "Multi-Cat-Ural and Special Needs Cat Show" last month in Arcadia, Calif. Six other rescue organizations - Long Beach Felines, Helping Persian Cats, Southern California Siamese Rescue, Kitty Devore Rescue Network, Hope to Home for Cats, and Kitty Katchers - brought adoptable cats to the event, and there were kids' activities and an educational forum with tips for cat care. 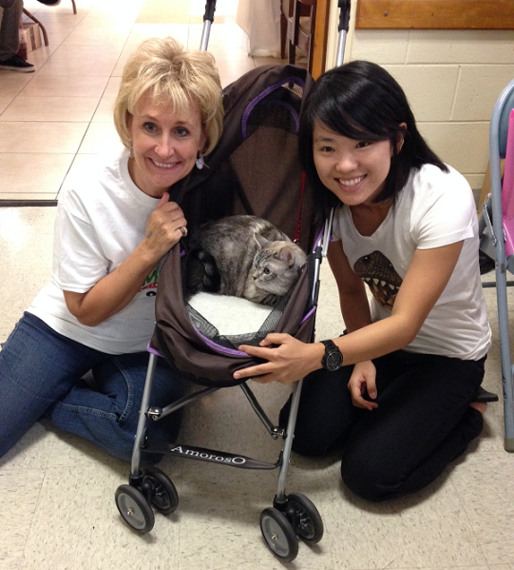 There were even celebrity and "celebricat" sightings, including Diana Alvear, author of Sal Everybody's Pal: Sal Finds a Forever Home, and internet sensation Nala Cat and her owner Pookie. 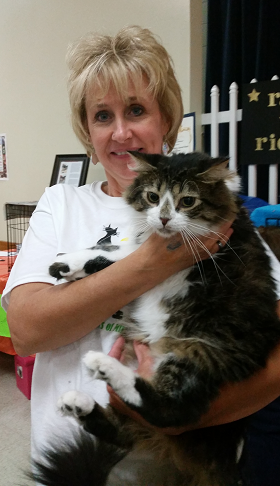 "For our tenth anniversary, I wanted to do something special and I wanted to give back to the community, because the community has given so much to us," Hoffman said, adding that 12 cats were adopted! She said cats with special needs appreciate their second chance at life and can make wonderful pets. "These cats are amazing, beautiful, intelligent and fun," Hoffman said. "I see our cats change people's lives." For more information about Milo's Sanctuary, visit www.milossanctuary.org.